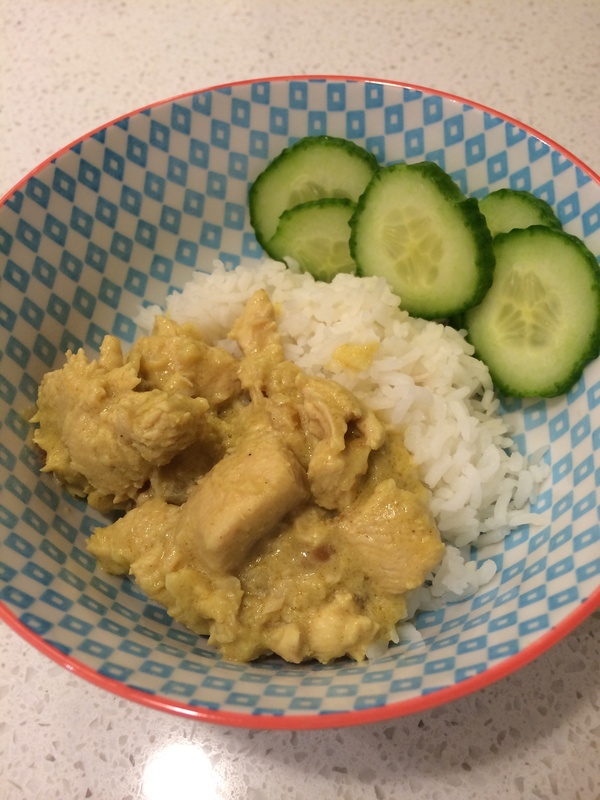 Tried this easy satay chicken dinner from the recipe community. Super easy and perfect if you’re in a hurry, not too many ingredients, sauté garlic and onion in Thermomix, throw in everything else and cook 15 minutes. Buy prediced chicken and you don’t even have to chop that up. In the time it takes to cook, make a salad or coleslaw. Next time I’ll throw in some spinach or steam some mixed vegetables in Varoma at the same time. Tasty simple family dish with a peanut flavour. Here’s another very similar recipe that has fewer ingredients and no mustard and has even more favourable comments.